Computer simulation techniques are now having a major impact on almost all areas of the physical and biological sciences. This book concentrates on the application of these methods to inorganic materials, including topical and industrially relevant systems including zeolites and high Tc superconductors. The central theme of the book is the use of modern simulation techniques as a structural tool in solid state science. 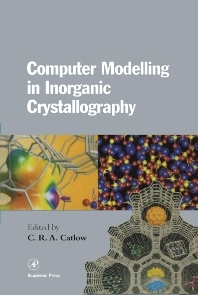 Computer Modelling in Inorganic Crystallography describes the current range of techniques used in modeling crystal structures, and strong emphasis is given to the use of modeling in predicting new crystal structures and refining partially known structures. It also reviews new opportunities being opened up by electronic structure calculation and explains the ways in which these techniques are illuminating our knowledge of bonding in solids.